I love the change in the air that is September. I love the crispness and the coolness of the fall. I love the colors and smells, the produce, and the feeling that we are on the verge of good things to come. I think in heaven it might just be fall all the time! We completed a KWL chart together. My kids were so excited to share what they already knew about apples and I was quite impressed with it! At the end of the week we filled in the "Learned" section. We made a class diagram (sorry, no picture!) 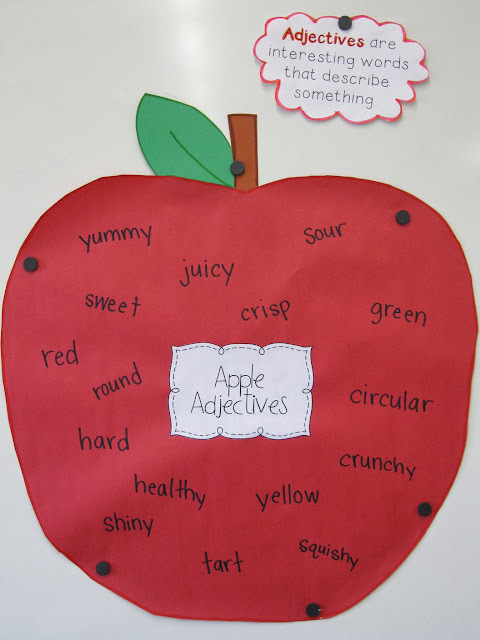 of a labeled apple and I had my kids do this cute labeling activity from Jodi Southard's A Bushel of Apples packet. They loved this! On Thursday it was Johnny Appleseed's birthday and we watched this adorable video from my childhood. We then made applesauce! I confess I was extremely nervous about this because, well, I've never made applesauce in my life and something could go horribly wrong. Right? Well, it turns out it is super easy and super delicious and the kids were so excited I thought they would die! And as if we hadn't had enough apples...we also did an apple taste test. 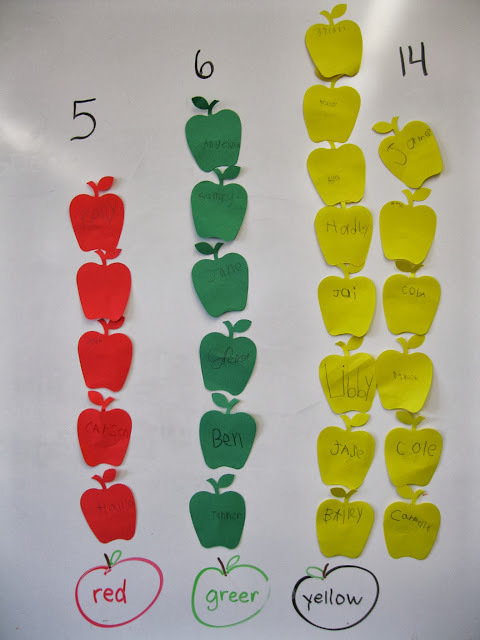 In the morning we looked at all of the apples that were brought in and selected a few special green, red, and yellow ones for our taste test. The rest went into the applesauce! All in all, it was a delicious week! I love teaching with a theme and can't wait to try it out again soon! Pumpkins, anyone?